Today in our Current Affairs Updates for 22nd March 2018, we have some important news headlines from National Affairs, International Affairs, Agreements, Obituary, Schemes which are very important for the upcoming government examinations like IBPS CLERK, IBPS PO, SSC CGL, SSC CHSL and other government exams. Today's main headlines include SBI and IMGC tying up agreement, the PADMA Awards and detailed description of some events and conferences like National Conclave, G20 summit and the Indian Science Congress. We hope our readers are following our articles regularly. Stay tuned for more such updates on a regular basis and do follow our app Exam360 for easier accessibility. 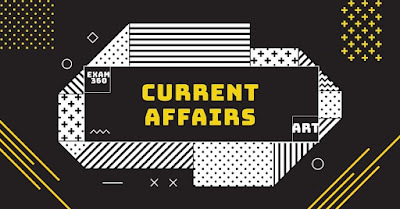 We also request our readers to go through the Daily Current Affairs Quiz and One Liner Static GK Points in a regular basis. Shri Atul M. Gotsurve (IFS: 2004), currently Director in the Ministry of External Affairs, has been appointed as the next Ambassador of India to the Democratic People’s Republic of Korea. Nanda Bahadur Pun has been re-elected as the Vice-President of Nepal for the second term unopposed. Pun has filed candidacy for the post of the Vice President on Saturday and his candidacy remained unopposed as no candidate came forward to contest with him for the post. India’s largest lender SBI and India Mortgage Guarantee Corporation (IMGC) today signed a pact to offer mortgage guarantee scheme for prospective non-salaried and self-employed home loan customers. The offering will help increase home loan eligibility up to 15 per cent within the regulatory norms, the State Bank of India (SBI) said in a statement. Austria’s capital Vienna once again defended its position as the city offering the best quality of life in the world, while Iraq’s capital Baghdad remains the worst in an annual survey from consulting firm Mercer. General Insurance Corporation., GIC is now a step closer in achieving its aim of increasing the share of international business and making India a regional reinsurance hub, as it starts operations in Lloyd’s London office next month. “‘GIC Syndicate 1947’ has now received permission to commence operations from April 2018, in accordance with the Lloyd’s agreed business plan,” the company said. Pembroke, a Liberty Mutual Company which is a specialist provider of Lloyd’s managing agency services will manage the ‘GIC Syndicate 1947’. Union Chemicals and Fertilisers Minister Ananth Kumar said the government has approved the setting up of a Plastic Park in Jharkhand's Deoghar at a cost of Rs 120 crore in an area of 150 acre for the manufacture of a range of polymer products. A statement from the ministry said the Minister requested the Jharkhand government to facilitate land/building infrastructure to set up the Central Institute for Plastic Engineering and Technology (CIPET) alongside the Plastic Park for training people to become plastic engineers and technicians. "President Kovind directs Shri Satya Pal Malik, governor of Bihar, to discharge the functions of governor of Odisha, in addition to his own duties, following the completion of the tenure of Shri S C Jamir," tweeted the President's office. The Robertsganj railway station in Uttar Pradesh has been renamed Sonbhadra. The Union home ministry has given its approval for the renaming of the British-era railway station in the Sonbhadra district of Uttar Pradesh. The University Grants Commission (UGC) today approved full autonomy for 62 higher educational institutions, including JNU, BHU, AMU, TERI and University of Hyderabad, which have maintained high standards of excellence. The decision was taken at a UGC meeting today where five central universities, 21 state universities, 26 private universities besides 10 other colleges were granted autonomy under the Autonomous Colleges Regulation. The government has extended the facility of hiring workers on fixed-term employment to all sectors to improve the ease of doing business, meeting the announcement made in the Union Budget. It has also given in to a major demand of the trade unions — that no permanent employee be moved to fixed term employment. Sudan, the world's last male northern white rhino, has died. For nearly a decade, Sudan lived in a 700-acre enclosure at the Ol Pejeta Conservancy, against the backdrop of the hulking Mount Kenya. The world’s longest sandstone cave at 24,583 metres in length has been discovered in Meghalaya, the northeastern state known for its complex cave systems hidden under its undulating hills. Called Krem Puri, the cave was discovered in 2016, but its actual length was found during an expedition by the Meghalaya Adventurers’ Association (MAA) to measure and map it between February 5 and March 1 this year, said Brian Daly Kharpran, a founding member of the organisation. Kerala will rope in qualified tribal instructors to impart literacy in their respective settlements. The initiative, spearheaded by the Kerala Literacy Mission, seeks to replace outside teachers with educated members of various tribes (even if they have minimum qualifications) after giving them expert training. The Supreme Court ruled that government authorities cannot charge more than ₹50 as application fee for those seeking information under the Right to Information (RTI) Act. The apex court also said authorities cannot charge more than ₹5 per page for photocopy and the applicants do not have to mention the "motive" in the RTI application. The Union Ministry of Mines has launched Sand Mining Framework to help states deal with the sand mining issues, including demand supply deficit and illegal extraction. The main objective of framework is to assist states in arriving at best possible options before them. US President Donald Trump has signed an executive order banning the use of Venezuela's new crypto-currency, Petro. The executive order, signed by Trump, prohibits all US transactions in digital currencies that benefit the Venezuelan government. The president of Myanmar Htin Kyaw has resigned, his office has announced. Htin Kyaw was sworn in as president in 2016 after landmark elections which ended decades of military leadership. The book is written by Dr Prabhakiran Jain and is published by Medha Books. The Delhi government on Monday launched a mobile app called "Delhi's Date with Democracy" with an aim to allow applicants from all parts of the city to showcase their talent. "There is no age limit and interested candidates can start sending their entries in both categories- singing and dancing, from tomorrow onwards," Deputy Chief Minister Manish Sisodia said. The Ministry of Agriculture and Farmers’ Welfare and Ministry of Skill Development and Entrepreneurship have signed MoU to conduct skill development training programmes for agriculture and allied sector. These skill development training programmes will be conducted at Krishi Vigyan Kendra (KVKs). India and Hong Kong entered into a double taxation avoidance agreement, aiming to facilitate investment flow between both countries and prevent tax evasion. The ministries of agriculture and skill development signed an agreement to conduct training programmes for agriculture and allied sectors at 690 Krishi Vigyan Kendras across the country. “We have entered an MoU with the skill development ministry to intensify the pace of skill development in 690 Krishi Vikas Kendras country-wide by training agricultural workforce,” agriculture minister Radha Mohan Singh said. The third edition of National Conclave on Mines and Minerals will be held in New Delhi. The conclave will provide an effective platform to showcase the recent policy initiatives by the government of India and enable intensive discussion on the issues, challenges and opportunities in the mining sector to realize its optimum potential for the sustainable development of the country. The first G20 meeting of finance ministers and central bank governors began on Monday in Buenos Aires, with the presence of 57 delegations from countries and institutions. The summit, held at the capital's Center of Exhibitions and Conventions (CEC), gathers 22 finance ministers, 17 central bank governors and 10 heads of international organizations, including IMF Director-General Christine Lagarde and Administrator of the United Nations Development Programme Achim Steiner. The government announced names of the recipients on the eve of the 69th Republic Day, which included Music maestro Ilaiyaraja and cricketer Mahendra Singh Dhoni. Canadian mathematician Robert Langlands won the prestigious Abel Prize for developing a programme connecting representation theory to number theory, Norway’s Academy of Sciences and Letters said. He won the Sahitya Akademi award in 1989 for his poetry collection Akaal Mein Saras.